COMMERCIAL GRADE DESIGNED FOR HEALTH CLUBS Horizontal Series - Fluid Rower Our Home Fitness Range uses compact horizontally mounted tanks offering patented Adjustable Fluid Resistance: from MIN to MAX delivers a large range of resistance, suitable for any fitness level and progression at the turn of a dial. All units are able to be stood on end so as to save space when not in use. - Adjustable Fluid Resistance, from feather-light to Olympic sprint at the turn of a dial. - "No dead spots. Unique triple bladed impeller and baffled tank internals deliver instant catch and consistent resistance throughout the whole stroke." - "Multilevel Computer complete with USB port displays: Time, distance, 500M split time, strokes per minute, calories per hour, watts and heart rate." 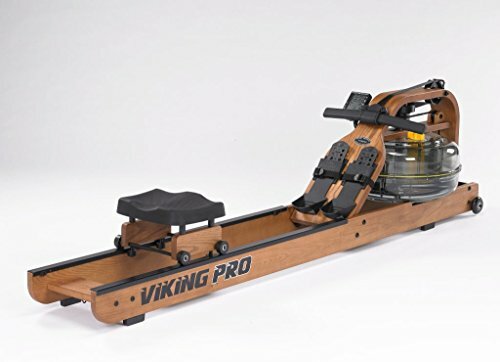 - "Height Adjustable footplates and straps to ensure optimal foot placement and comfortable rowing position. "- Durable belt drive - smooth, clean, quiet and again maintenance free. - "Deluxe ergonomic handle allows comfortable grip and minimised strain on forearms, wrists and hands." If you have any questions about this product by First Degree Fitness, contact us by completing and submitting the form below. If you are looking for a specif part number, please include it with your message.